Rodeo has been moved to the rain date, May 5th! Rodeo includes a bike safety check, free helmets courtesy MetroHealth Division of Trauma and an obstacle course. 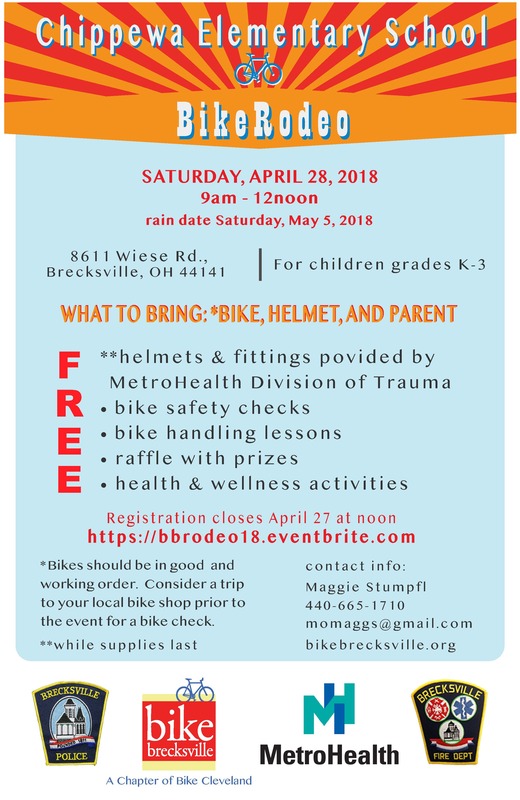 Brecksville law enforcement will be on hand to lead participants in a bike safety pledge and fire truck will be available to explore under supervision of the Brecksville fire department. There will be a raffle with prizes. All children grades K-3 in the community are welcome. Would you like to participate or volunteer?